Having recently focused on his solo projects, Dutch luminary and superstar DJ Fedde Le Grand now presents the newest release on his visionary Darklight Recordings imprint. Five months since the release of Patric La Funk & Sesa’s thundering track ‘Wazzup,’ the budding label returns with a stunning cut from none other than big-room duo Jewelz & Sparks on September 28th. It comes as no surprise that Fedde would release with the German production duo, considering he has been backing and following their music for years. The outfit has steadily carved an impressive imprint on the dance scene, with their energetic performances and blockbusting productions coming hand in hand. 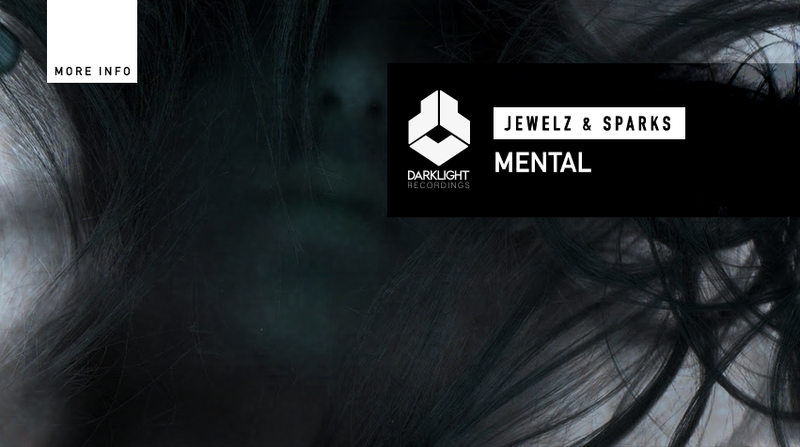 Ready for release September 28th, ‘Mental’ is an unsurprisingly, unrelenting dance record that yet again elevates the caliber of Darklight Recordings’ output. The rolling beat, the punishing drums and crisp snares combined with a characteristically driving mid-section truly validates Jewelz & Sparks’ well earned status as producers to keep your eye. A forward thinking move from label head Fedde Le Grand, ‘Mental’ is set to dominate dancefloors around the globe.